It is important to establish the relationship between pentosidine and advanced glycation endproducts (AGEs) in bone. We found the relationship between pentosidine and AGEs and their magnitude of accumulation were dependent on bone’s surface-to-volume ratio. Results illustrate the importance of measuring pentosidine and AGEs separately in cancellous and cortical bone. Accumulation of collagen cross-links (AGEs) produced by non-enzymatic glycation deteriorates bone’s mechanical properties and fracture resistance. 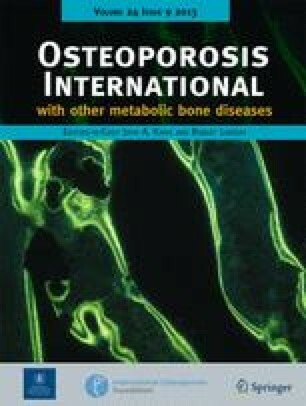 Although a single AGE, pentosidine, is commonly used as a representative marker, it is unclear whether it quantitatively reflects total fluorescent AGEs in bone. The goal of this study was to establish the relationship between pentosidine and total AGEs in cancellous and cortical bone. Pentosidine and total AGEs were quantified in 170 human bone samples. Total fluorescent AGEs were measured in 28 additional cancellous and cortical bone specimens of the same apparent volume that were incubated in control or in vitro glycation solutions. Correlations between pentosidine and total AGEs and differences between cortical and cancellous groups were determined. Pentosidine was correlated with total AGEs in cancellous bone (r = 0.53, p < 0.0001) and weakly correlated in cortical bone (r = 0.23, p < 0.05). There was more pentosidine (p < 0.01) and total AGEs (p < 0.001) in cancellous than in cortical bone. The in vitro glycation substudy showed that cancellous bone accumulated more AGEs than cortical bone (p < 0.05). The relationship between pentosidine and total AGEs and their magnitude of accumulation differed in cancellous and cortical bone of the same apparent volume, and were dependent on the surface-to-volume ratios of each sample. 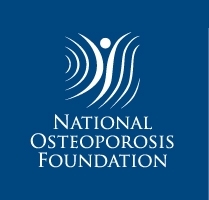 It is important to consider the bone types as two separate entities, and it is crucial to quantify total AGEs in addition to pentosidine to allow for more comprehensive analysis of the effects of non-enzymatic glycation in bone. This study was funded by National Institute on Aging grant AG20618 (Vashishth) and National Institute of General Medical Sciences training grant T32 GM067545 (Karim). Human cadaver bones were obtained from the International Institute for the Advancement of Medicine and also from the National Disease Research Interchange through the National Institutes of Health grant 5 U42 RR006042.